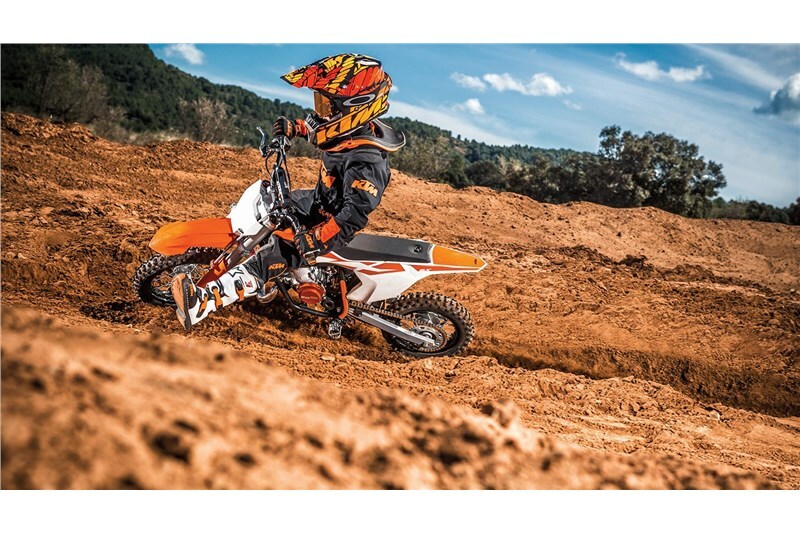 The 50 SX is a true READY TO RACE KTM for young MX riders. 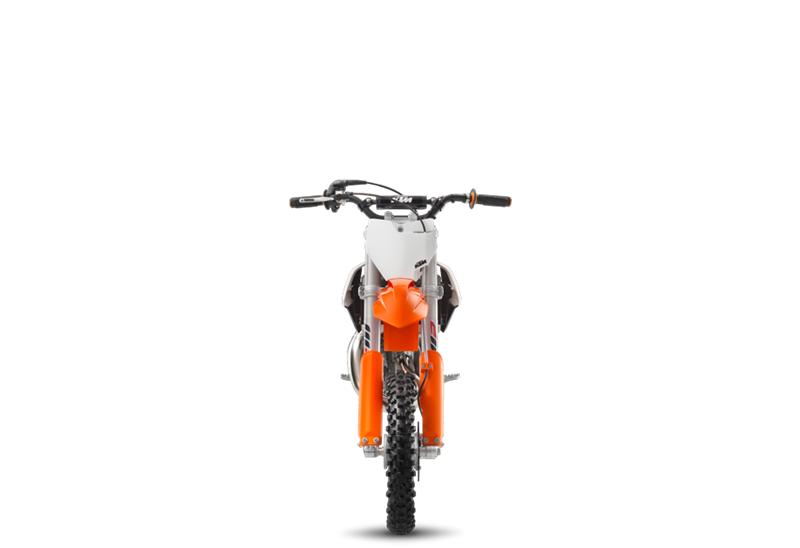 It is a genuine dirt bike that, like its bigger siblings, is produced with top-quality components. This makes the 50 SX the first choice as a stepping stone into the world of MX or for the first racing step on the ladder. 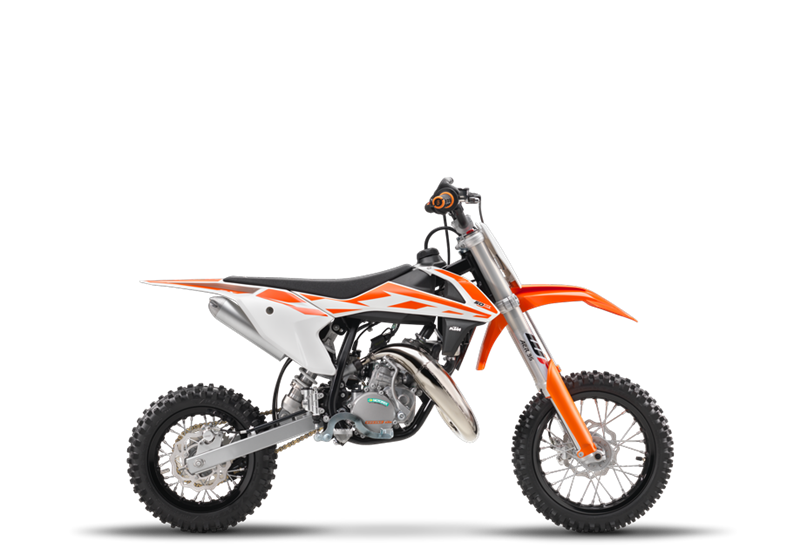 With the youngster in mind this package has an engine that delivers steady, controllable power, incorporating an automatic clutch that allows the rider to concentrate on the track, not shifting. 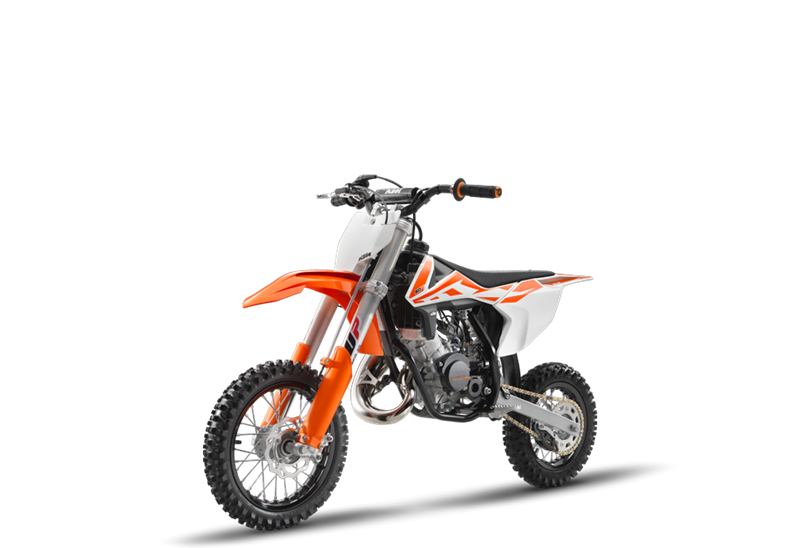 This year’s model features revolutionary WP AER 35 front forks, fully adjustable rear suspension, a new exhaust, ultra-cool graphics and a lot of detail improvements that make going fast fun. SWINGARM The 50 SX is fitted with a lightweight cast aluminum swingarm. Conceived using the latest in calculation and simulation software, the design and wall thickness have been made for minimum weight at optimum stiffness and precisely defined flexibility. In addition it features a robust 2-compound chain guide similar to the full-size models. REAR SUSPENSION On the rear wheel a WP monoshock linked directly to the swingarm provides excellent damping performance and is now fully adjustable in order set the damping perfectly to rider’s preferences and track conditions. The rear wheel travel is 185mm. 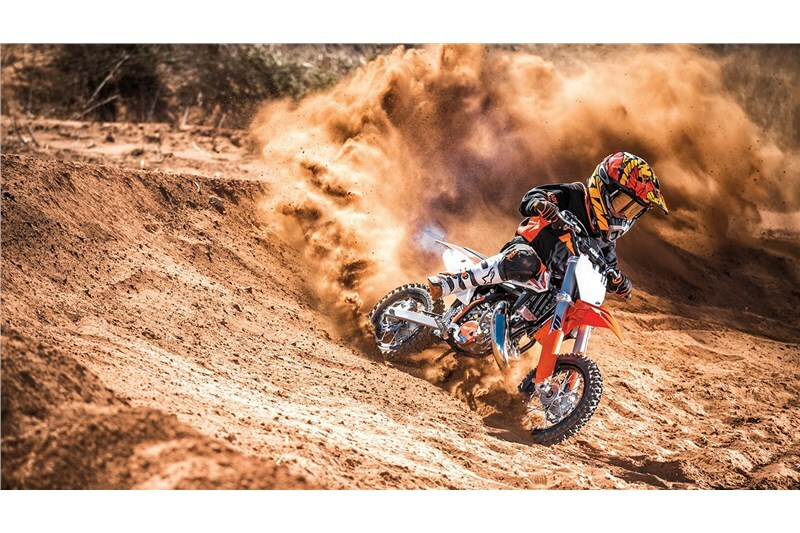 BRAKES The 50 SX is fitted with front and rear hydraulic brakes by Formula combined with lightweight wave discs that are easy to control even for the youngest riders. This ensures the best deceleration and the highest standard. ENGINE The modern, extremely compact 2-stroke engine fitted with an automatic clutch sets the standard in its class with improved power due to a new exhaust pipe. Thanks to the 3-shaft design, the crankshaft is close to the bike’s center of gravity. This does not just benefit the handling, but also allows for a flow-optimized intake angle into the reed valve – a prerequisite for maximum performance. 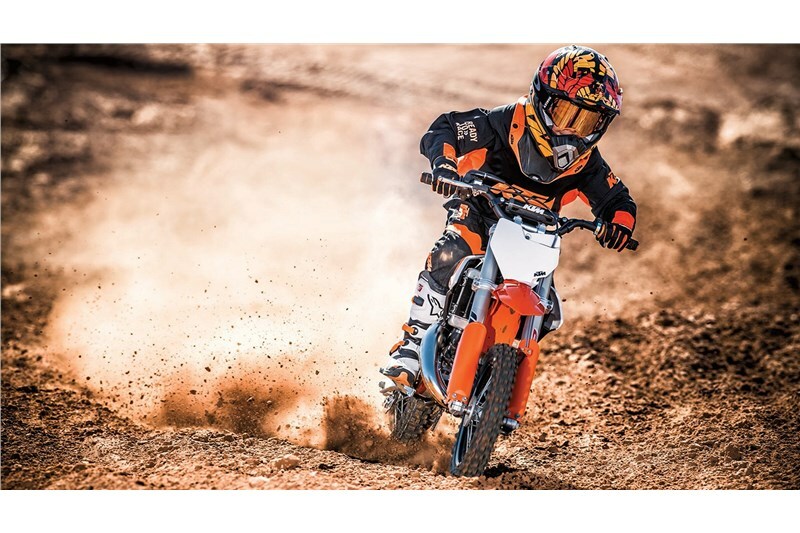 CYLINDER The high performance cylinder features a pressure controlled exhaust valve (PCEV) and provides an unrivaled performance within the highly competitive 50 cc class. BODYWORK The bodywork is derived from the full-size SX models and provides perfect ergonomics with well thought-out contact points for the rider and maximum freedom of movement. In addition, smart design solutions for the new front and rear fenders are prime examples of an intelligent design, which guarantees maximum stability through a well thought-out structure and mounting. 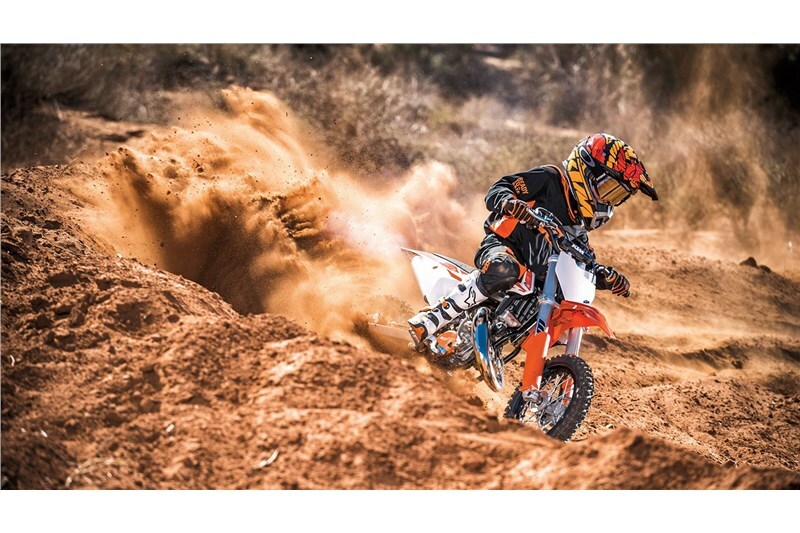 GRAPHICS Derived from the full-size SX bikes, the graphic design makes the new 50 SX look even cooler. Its frame has a super rugged polymer coating in black. HANDLEBARS Made of high quality aluminum alloy, the handlebars offer top stability and safety. A crash pad on the handlebar brace protects from unintended contact. 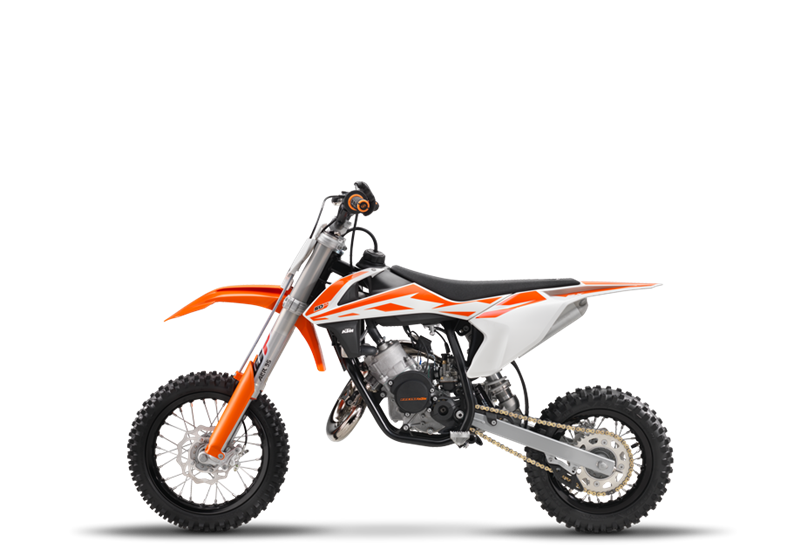 RADIATOR Like the big KTM bikes, the 50 SX has a liquid cooling system, which even cools the crankcase. Generously sized radiators ensure outstanding heat dissipation for high reliability, even under extremely heavy duty.